Few weeks ago I got idea to try needle felting, and in just this same time I started watching: My Little Pony: Friendship is Magic tv show. I thought that using one of character from this show is good idea to start my own adventure with this type of art. The design is simple, and just I like pastel colors of ponies. I messed with some of details, and I've got impression that he looks more like Generation III, than G IV, but in total I think it look's quite nice for the first. 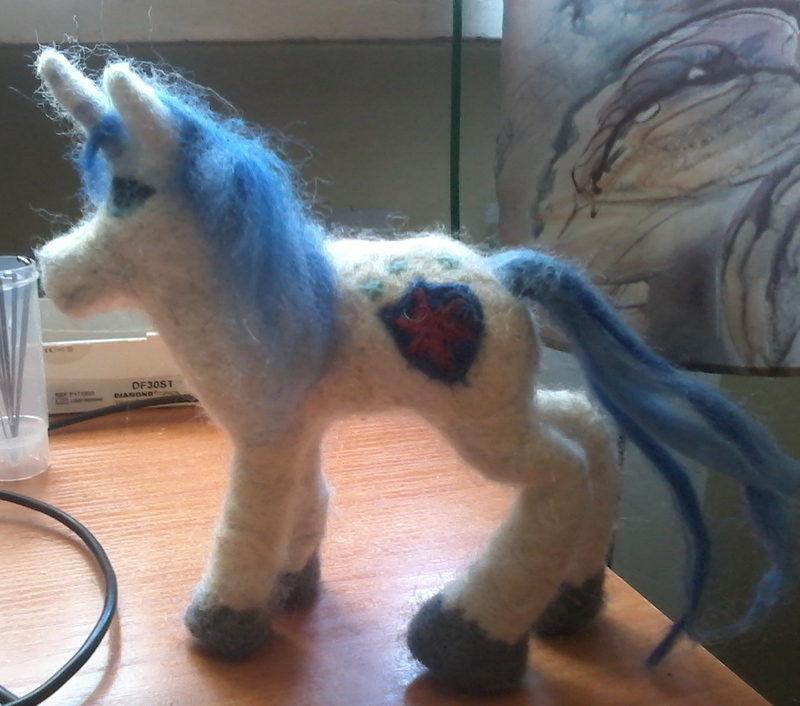 Hope you like it, and be ready for next of my needle felted sculptures.